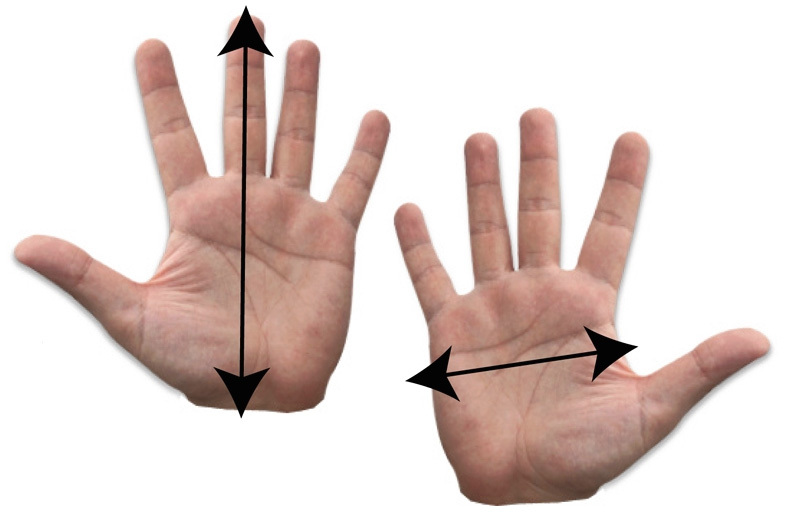 Measure from the tip of your forefinger to your wrist. Then measure across your palm.Choose your size according to the following measurements.. Call if you have questions about our WEBBED WATER GLOVES. I had ordered size medium from Water gym based on online sizing. Your customer service dept called and said medium sold out and after figuring out my hand size, she thought it would fit and if not, return for refund. The gloves fit perfectly, snug but i like that as i get maximum resistance against the water. Very pleased with my purchase and the help i received from Water Gym.